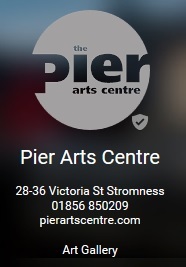 Stromness Museum is only one of a network of heritage or interpretation centres, museums, art galleries or heritage walks. We are so lucky in Orkney that we have such a breadth and depth of heritage centres and galleries! Listed below are a few we'd like to bring to your attention. Wildscape and the Waterfront Gallery are next door to each other. 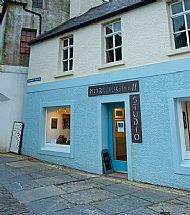 Northlight and Artworks of the Earth are almost opposite each other in Graham Place. The links above are just a handful of the craft shops and manufacturers. The Orkney Crafts Association brings together traditional and contemporary professional craft makers in the region to promote, support and develop high quality design-led craft work.